Trainers are encouraged to bring groups of students to Tulipsprings. Our courses are arranged to school mixed levels efficiently. Trainers must be pre-approved to teach at Tulipsprings. This is done by adding Tulipsprings to the trainer's liability policy. Contact Carol for details. Also please contact us to learn about trainer discounts and incentives. Riders are required to school with supervision. This means having an approved trainer or supervisor in attendance for your safety. Several trainers throughout the Pacific Northwest have registered to train at Tulipsprings. Ask your trainer about this and if they have not set themselves up with us, just have them contact us and we can assist with the simple process. 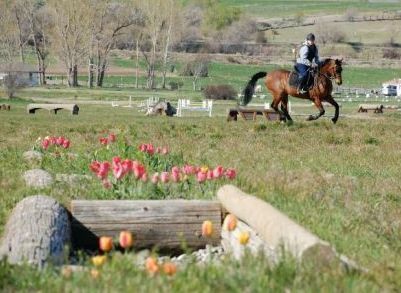 Mary Burke owns and trains out of Burkeridge Farm in Ellensburg, Washington were she teaches Dressage, stadium jumping and cross country. 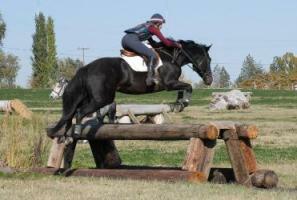 She is currently competing nationally in Three Day Eventing. 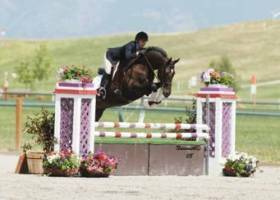 In 2008 she won the Open Preliminary Horse division at the American Eventing Championships in Chicago with her one star horse Tucker. In addition, she has competed in FEI dressage, at the Prix Saint George level, were she earned her Bronze medal and shown Hunters and Jumpers in the A show system with great success. Her vast experience in showing different disciplines and her degree in Physical Therapy and human anatomy gives her an excellent background for teaching the various levels and disciplines of riding. Carol is available by appointment to supervise your schooling sessions. 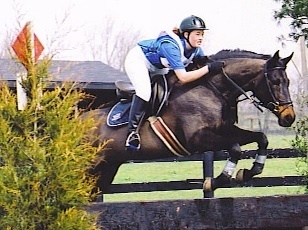 She has been in the saddle for over 40 years, eventing for about 15 and has competed through Preliminary level. As the owner of Tulipsprings, she knows these courses like her own backyard (!!) and is available to guide you and your horse around them.